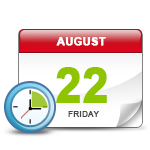 IBackup automatically backups your critical data and allows you to schedule backups and restores at your convenience. All data is compressed and encrypted during transmission, while block level patching - where only modified portion of data is transferred after initial backup - ensures optimal bandwidth utilization. 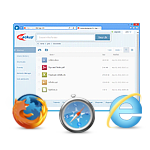 Provides browser access that makes it easy for you to access, manage and share your backed up files and folders. 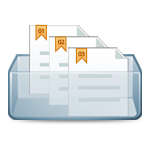 You can create new folders, upload files, move, rename, delete, search and view your image files as a slideshow in your account. 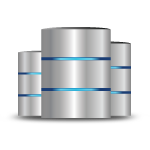 Supports Open file backup, Exchange Server, MS SQL Server and Oracle Server Database backups. 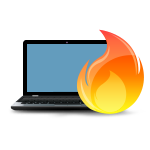 You can backup data on the Windows, Linux and Mac platforms. Few other applications offer backups across platforms and databases. You can create multiple Backup sets for backup, backup data from multiple computers to a single IBackup account or to a separate Sub-Account for each computer, and even do restore scheduling. Only IBackup provides a comprehensive Disaster Recovery (DR) plan. You can setup a full replica of critical data from one site onto another physical location that can scale. 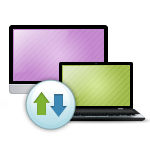 IBackup retains previous versions of all files backed up to your account. You can restore up to 10 previous file versions to any location on your local computer. 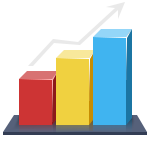 Internal tests have shown that IBackup Windows desktop application transfers data at 30% or better speeds, compared to competition.